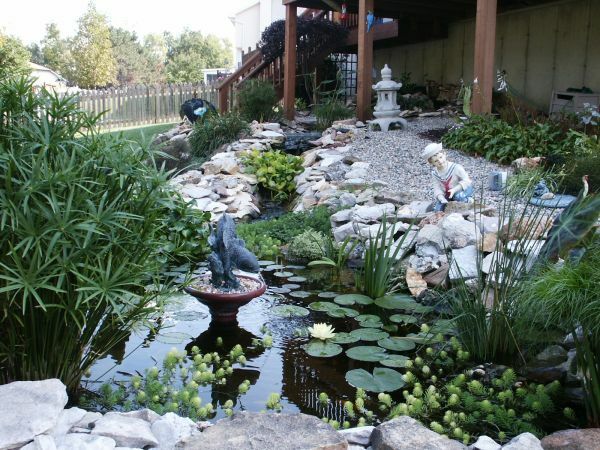 Inspired by Pond-O-Rama 2007, Kermit and Denise Brinkmann quickly upgraded their pond with their new ideas. What a change from their original 300 gallon preformed pond! 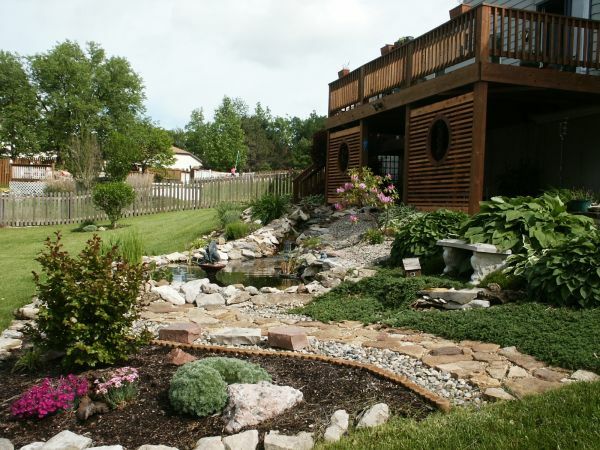 We started with a 300 gallon preformed pond, which we outgrew quickly. The lower pond was installed in 2005 and is approximately 1200 gallons. We installed a bio-falls and stream at the same time. After attending last year’s Pond-O-Rama, we acquired a lot of new ideas. Shortly after, we began the upper pond, which is approximately 1000 gallons. 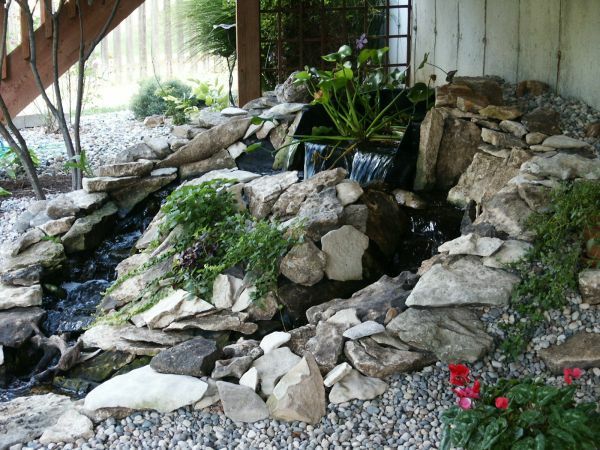 The bio-falls moved under the deck and we added a heart-shaped stream which empties into the upper pond. The existing stream was used to connect the upper and lower ponds. We use a 3000 gph pump to run the complete system. The lattice work under the deck was added this spring. The idea came from the Missouri Botanical Gardens. 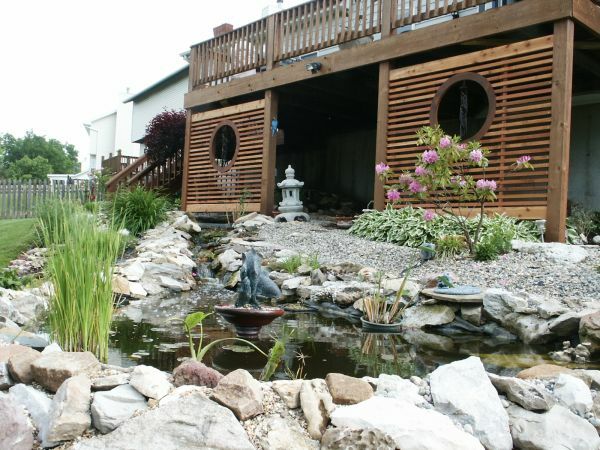 We are in the process of creating a Japanese-style garden under and around the deck. We did all the designing and work ourselves.